Popular and reputed online casinos like InterCasino and Golden Palace are powered by NetEnt. The leading provider of digital gaming solutions has revealed some statistics for the year 2017 that will kindle the hearts of players at these and other NetEnt online casinos. NetEnt players hit a total of 321 jackpots and were paid an amount equivalent to €78.3 million this year so far. There is a week to go and these figures could increase. The NetEnt press report singled out four progressive jackpot slot games that have delivered most of the above mentioned payouts. These are Mega Fortune, Mega Fortune Dreams, Arabian Nights and Hall of Gods. These four global accumulative jackpot games give operators access to the largest online jackpots in the online casino gaming world. This allows them to give their players the chance of achieving a truly life-changing win. 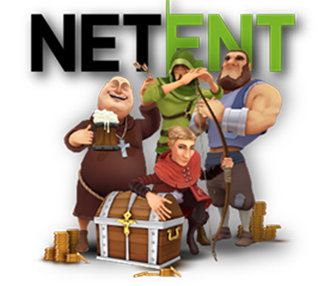 NetEnt also released some more interesting details about these jackpot slots. Earlier this month, two players received the perfect Christmas present after hitting Mega Fortune Dreams for a staggering €3.3 million and €3.5 million, respectively. NetEnt offers these games on its mobile platform as well. Playing on the move is now extremely popular as can be evidenced by the fact that both these hits were obtained from mobile devices. Mega Fortune Dreams alone has paid out a whopping €30.4 million in 2017. It was also the most popular choice, with the highest number of unique player rounds played. The highest jackpot this year and the fourth-highest payout in NetEnt history was won by a lucky player scooping €7.5 million on Hall of Gods in June. InterCasino is one of the oldest online casinos in the business. New players signing up get 110 free spins on some of the best NetEnt video slots that include Starburst, Spinata Grande and Twin Spin. They also get the regular deposit welcome bonuses. These are offered on the first three deposits and are 100% up to €300 each. Golden Palace online casino offers a simpler welcome bonus of 100% of the first deposit up to €200.